- We offer deposits of £750, £1000, £1250 depending on your chosen room. Our deposits are protected with DPS. 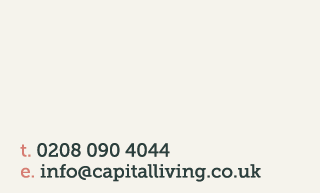 Capital Living has the right to refuse and terminate applications at any point at its own discretion. New Members please note; when you're application is approved and your check in is booked, your mobile number will be shared with your new housemates so that they can get in touch and welcome you to the community. Please familiarise yourself with our fees. 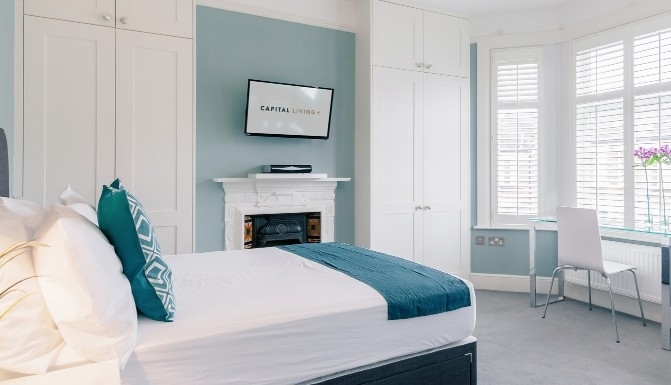 The room reservation fee goes towards your first months rent and reserves the room for seven days by which time Capital Living must receive all the required paperwork and full balance transfer (including 6 week deposit and first month's rent) to complete your transaction. Failure to do any of these will forfeit the fee. This is non-refundable and non-transferable to another person or a different room. This fee is valid for three months and is non-refundable should you not chose a room with Capital Living. Complaints We are a member of the Property Redress Scheme. If you have a complaint please see our complaints process.